It's no surprise that cybercriminals use popular events to spread malware or try to scam people out of their money. After seeing similar things during the Olympics and the World Cup, new reports are suggesting that they're using the release of the final Game of Thrones season to spread their malicious works of art across the globe. As people, who don't have access to HBO, turn to the internet to try and find the latest episodes, hackers are using this moment of vulnerability to scam people into thinking they're downloading the TV series, when in fact, they're downloading malware. Security researchers from Kaspersky Lab say that 20,934 users were attacked in 2018 using Game of Thrones, despite the fact that not a single new episode aired last year. Looking at the bigger picture, Game of Thrones took 17 per cent of the entire infected pirated content market. There are two more shows that trick a lot of people: Arrow and The Walking Dead. 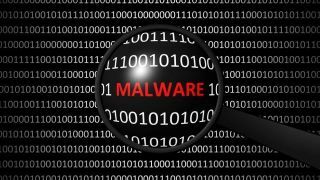 A total of 126,320 users downloaded malware instead of TV shows last year, a third less than a year before. Game of Thrones' first episode, Winter is Coming, is most widely used to trick people into downloading malware. Looking at average stats, more than two users suffered seven attacks for each malware file posing as a TV show. "As the world tightens up policies regarding pirated content and treats intellectual property more like physical property, malware distributors seem to be leaving file-hosting and torrent websites,” commented the report’s authors.